The community was built around the residence of C.C. Edinburgh in the mid 1820s. 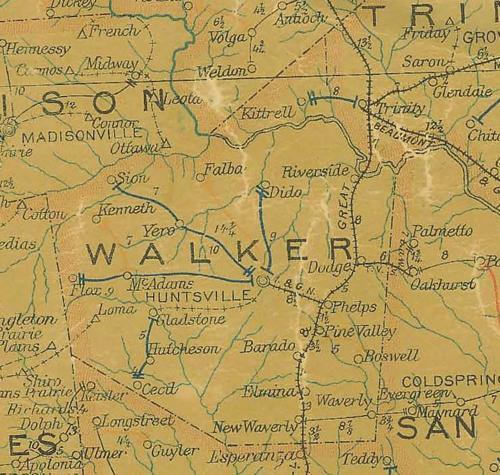 Edinburgh, a San Jacinto veteran is credited with being Walker County’s first resident – before there was a Walker County. 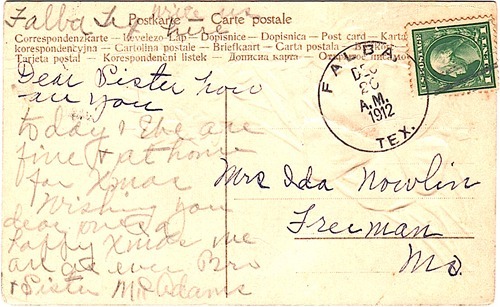 Falba once had a school and church and in 1901 it was granted a post office. The town also had a store and two physicians but being in a remote corner of the county, growth was unlikely. In the mid 1930s, the community had two (segregated) schools, a church and a cemetery. No population figures are available and by 1990 only the Falba cemetery remained.